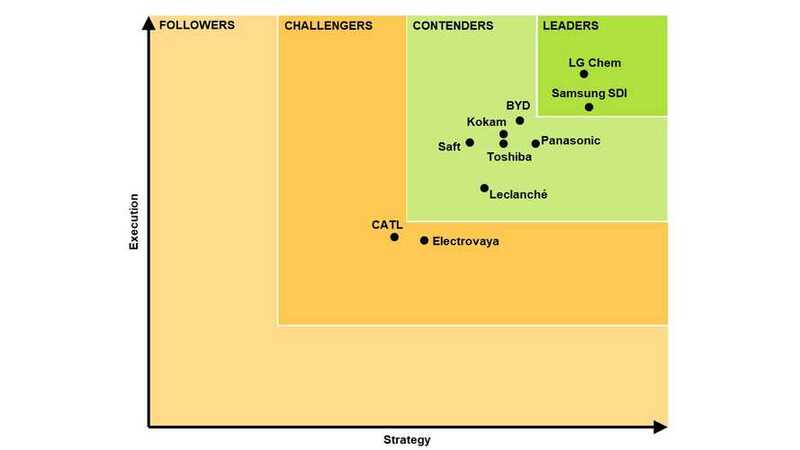 Navigant Research's assessment of strategy and execution for li-ion battery manufacturers for grid storage shows that LG Chem and Samsung SDI leads the industry. There is no Tesla in the top 10, but maybe that's because Tesla was not treated as the battery manufacturer (achievements are pretty remarkable though). Tesla uses batteries provided by Panasonic (or other suppliers) as well as produced with Panasonic at the Gigafactory. Anyways, the energy storage market is expanding quickly and Navigant Research forecasts it to hit $23 billion by 2026. "Lithium ion (Li-ion) batteries have been the technology of choice for stationary storage projects in recent years. 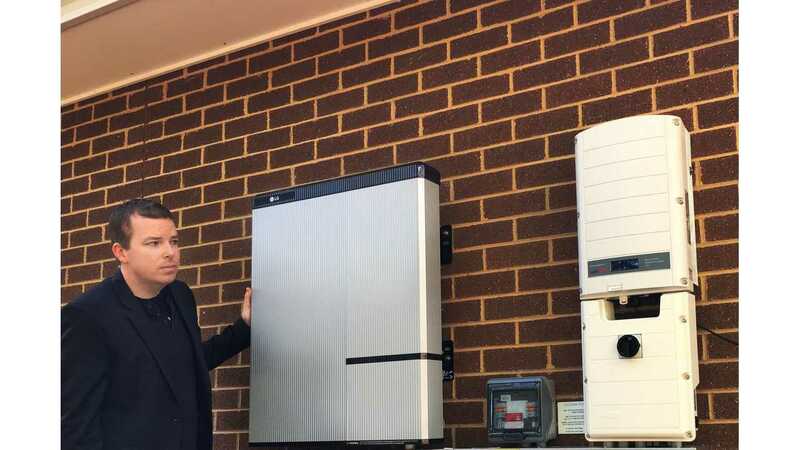 Due to a combination of low cost, energy density, efficiency, and safety, the technology has emerged as the go-to choice for many stationary energy storage system (ESS) developers. Li-ion batteries have also led the markets for energy storage in EVs and consumer electronics. The rapid growth in these markets has allowed suppliers to develop economies of scale through major investments in new manufacturing facilities that are driving down prices. The global landscape of Li-ion manufacturers is becoming increasingly competitive, with companies vying for market share and investing heavily in manufacturing and R&D." "The most successful companies targeting the stationary battery energy storage market to date are larger corporations with established businesses providing Li-ion batteries for EVs and consumer electronics. While several market barriers could limit growth in the near term, there is tremendous potential, as Navigant Research expects the Li-ion industry to reach $23.1 billion by 2026. Market growth will be spread primarily among the regions of North America, Europe, and Asia Pacific, driven by regulatory changes and incentives before prices come down enough to compete with retail electricity rates. As the Li-ion manufacturing industry develops, it promises to deliver low cost, high performance systems. This Navigant Research Leaderboard Report examines the strategy and execution of 10 leading Li-ion battery manufacturers that are active in the global market for Li-ion batteries for grid storage. These players are rated on 12 criteria: vision; go-to market strategy; partners; production strategy; technology; geographic reach; sales, marketing, and distribution; product performance; product quality and reliability; product portfolio; pricing; and staying power. Using Navigant Research’s proprietary Leaderboard methodology, vendors are profiled, rated, and ranked with the goal of providing industry participants with an objective assessment of these companies’ relative strengths and weaknesses in the global Li-ion batteries for grid storage market."